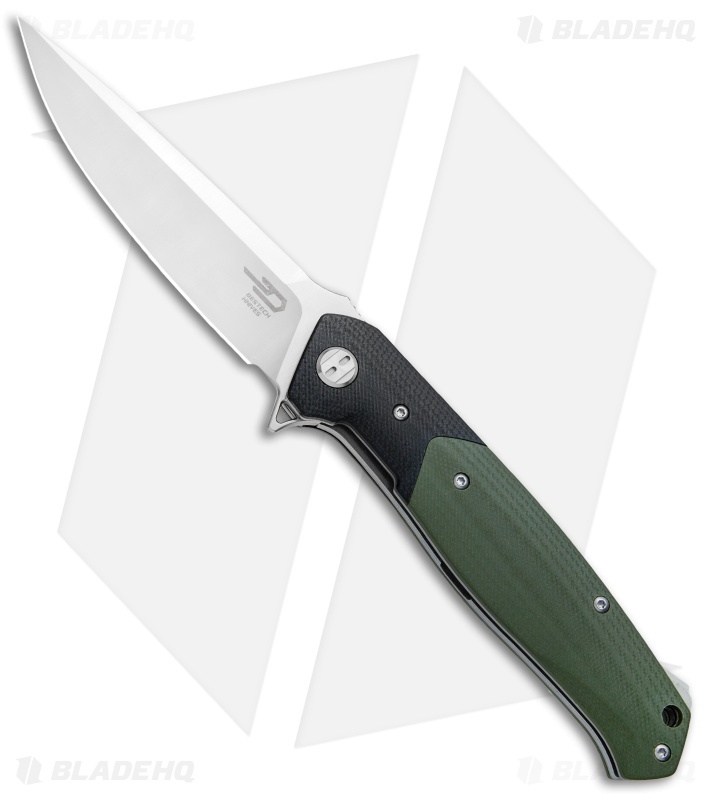 This Swordfish model features a green and black G-10 handle. The Bestech Swordfish offers a sophisticated design with tough EDC functionality. A classic handle design is accentuated by a spear point blade with a flipper opener and a jimped thumb ramp. 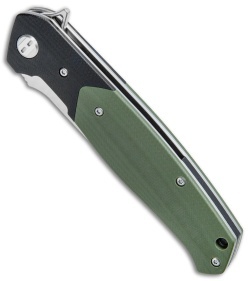 Item includes a lanyard hole and a stainless steel pocket clip. D2 tool steel provides a corrosion resistant blade with excellent edge retention. 1) The flipper is, oddly, both pointy and slippery. Flipping with a motion in the direction along the spine will often result in slipping off of the smooth curved surface. The solution is to press the flipper into the knife, which leads to a good opening but means pressing your finger into the needlessly jabby point. 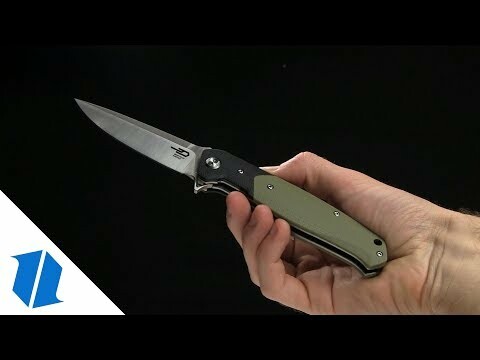 2) At least for me, the way I hold the knife with my other fingers when flipping open, the end of the (also overly pointy) clip pokes into my fingers. The clip is also very tight, though that would be fixable with a little bending. 3) Awful lock stick. First knife I've ever owned where sometimes I just can't get the liner to unlock with my thumb, and have to hold the knife in both hands. 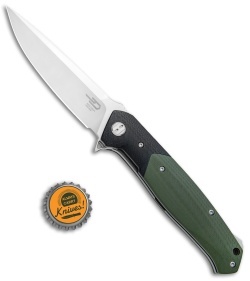 Great blade shape, smooth pivot, nice design overall... but so far, it's just not a knife I want to use. Easily comparable to other $200+ flippers I have had exp with. 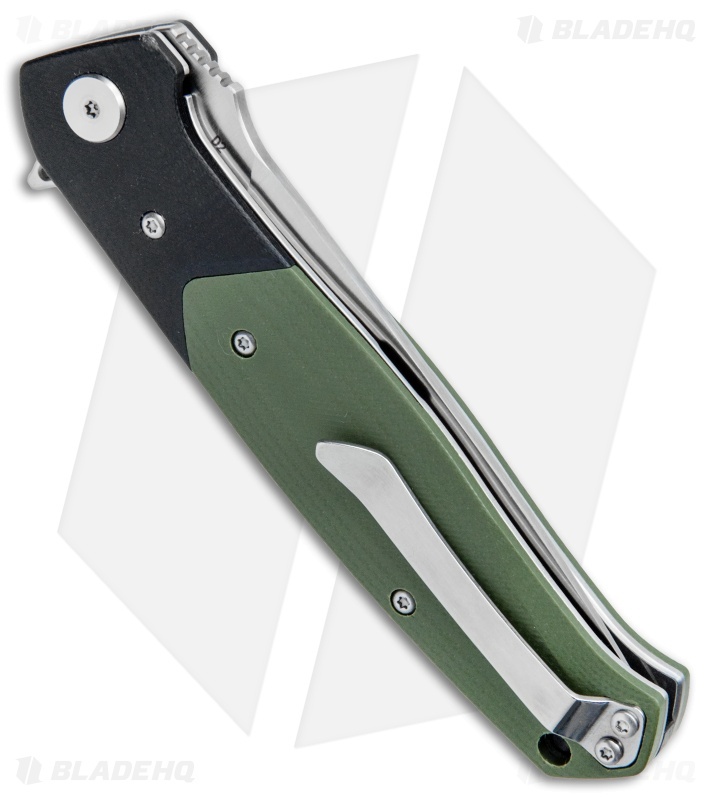 Fit and finish are excellent, action is smooth when new and only gets better over time, lockup is early and solid, the D2 takes a great working edge aswell as highly mirrored finishes. Nice knife for the money, fairly lightweight for the size of the knife, good quality d2. This one is a keeper in my collection. P.s. this is super smooth on stainless steel bearings.